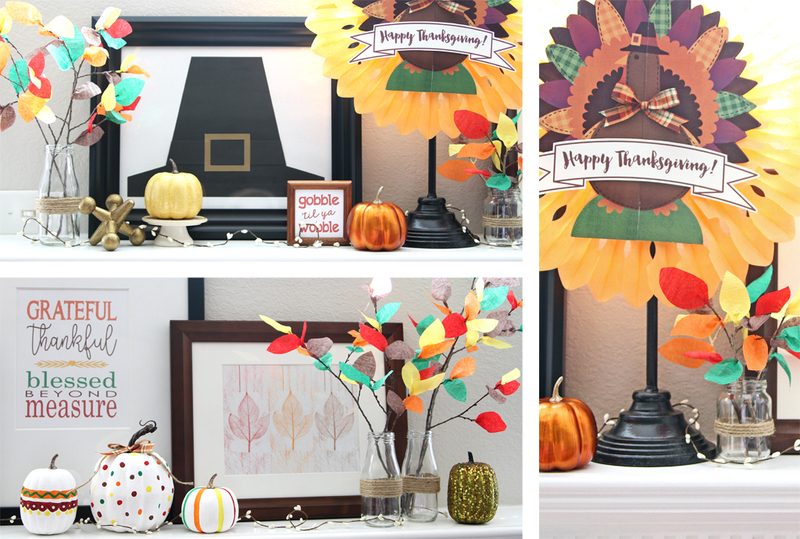 Thanksgiving is coming, and with it, so are the fall decorations. And since we’ve only got a few days after Thanksgiving to enjoy them before the Christmas decorations start going up, it’s better to get a head start, now! 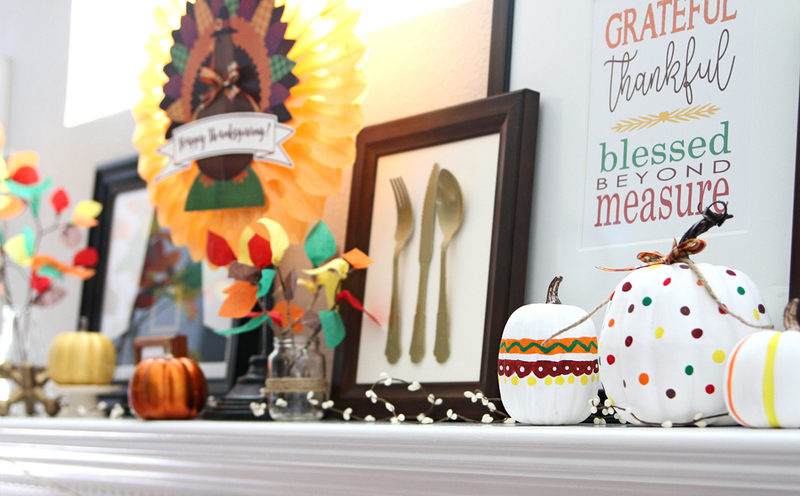 This easy to do, DIY mantel decoration is a great way to show off your love for the season! In keeping with our St. Patrick’s Day and Halloween themed mantels, we bring the next installment of party supplies meets holiday décor. 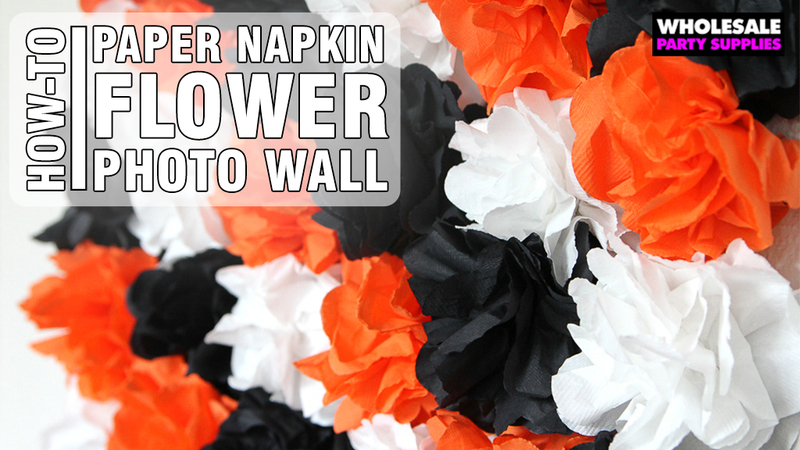 A little creativity and crepe paper can go a long way to bringing a fall-like feeling to any room and with touches of natural elements, the outdoors truly comes inside. When it comes to incorporating party supplies into holiday décor, don’t be afraid to use elements in a way other than their original purpose. 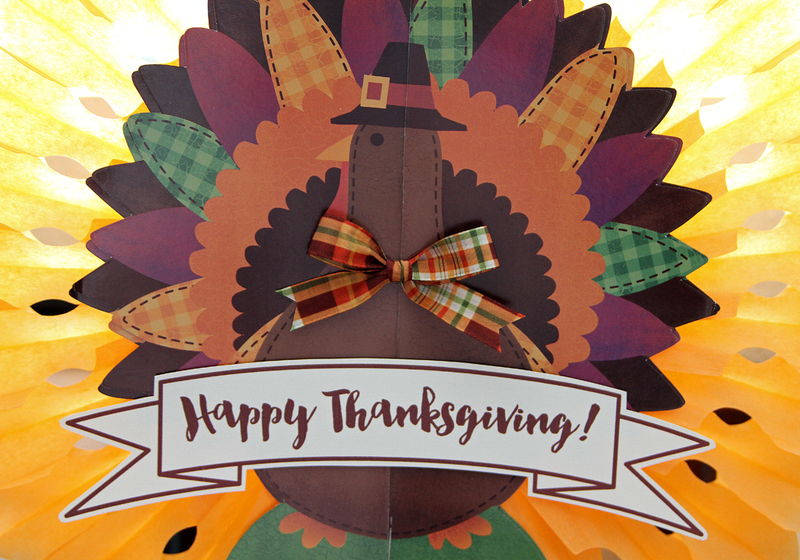 This turkey wreath started out as a tabletop centerpiece. 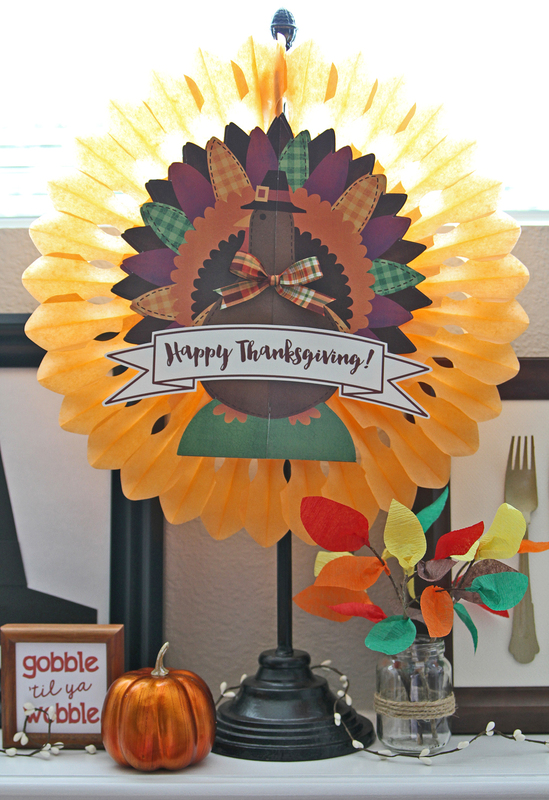 Simply glue the 3D pieces together and back with a paper fan. Finish off with a plaid bow tie and a printable banner (found here). Viola! Quick and easy wreath. 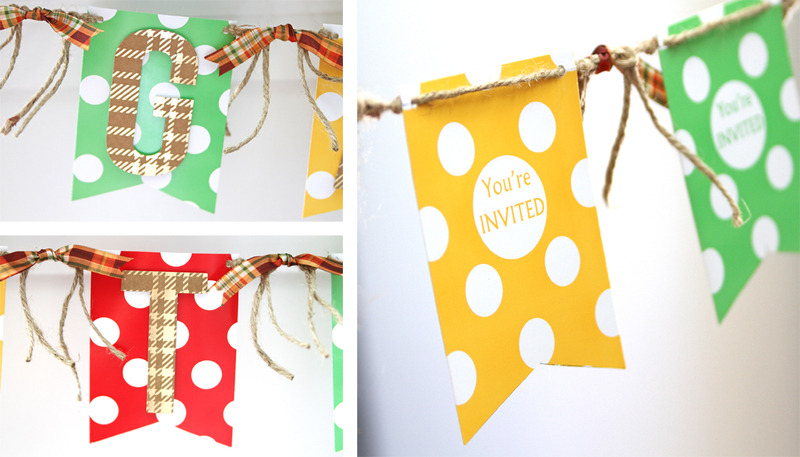 Polka dot invitations make the perfect base components for a garland. Glue invitations shut and trim notches from bottom edges. Add chipboard letters then string pennants on jute twine. Plaid ribbon ties bring in extra color and softness. 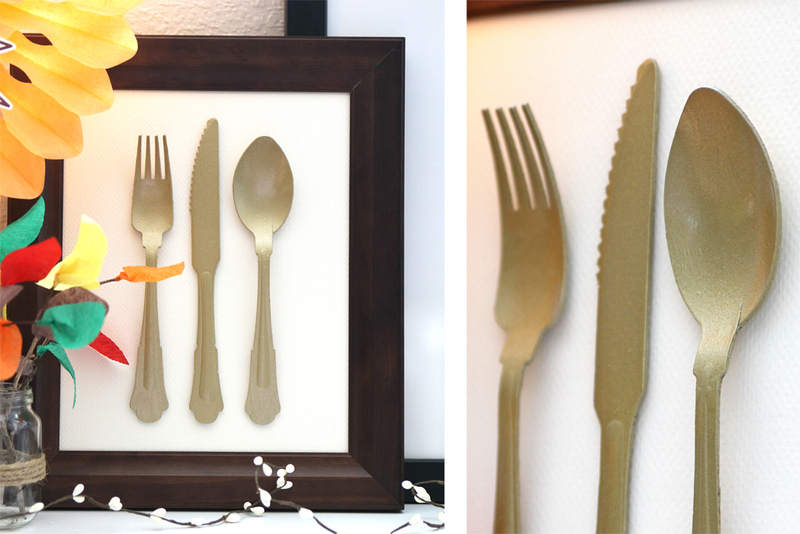 Add a touch of whimsy in an artful way with these framed spray painted wood utensils. No wood utensils? No problem. Just use a set of plastic ware and a spray paint made specifically for covering acrylic. 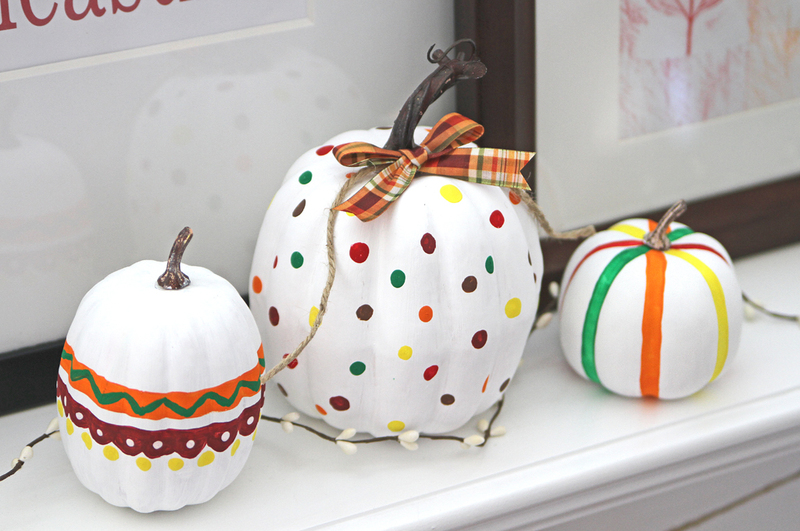 Discount store pumpkins are easily transformed into unique décor pieces with paint. Kids will especially have fun with this potentially messy project. Get the complete DIY here. 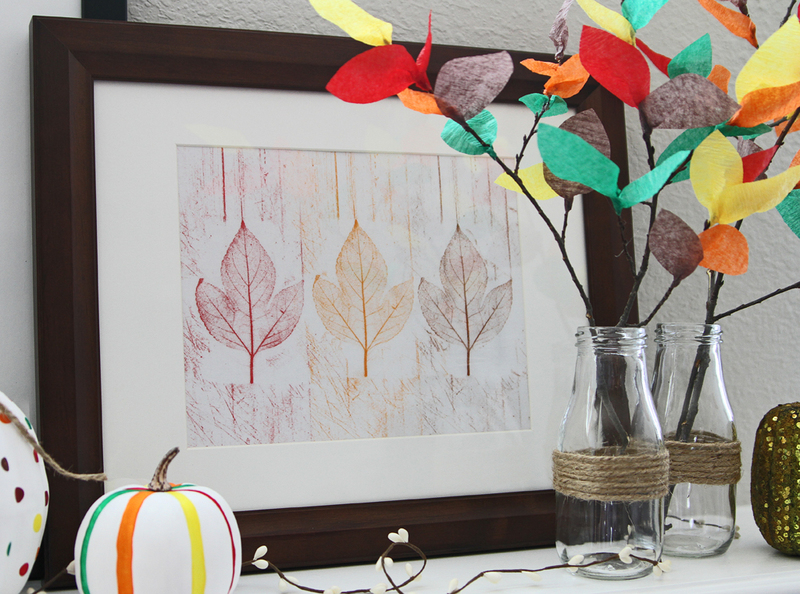 Continue the art gallery effect with framed leaf rubbings. Leaves, crayons and paper are all that’s required. Go here to see the how-to. 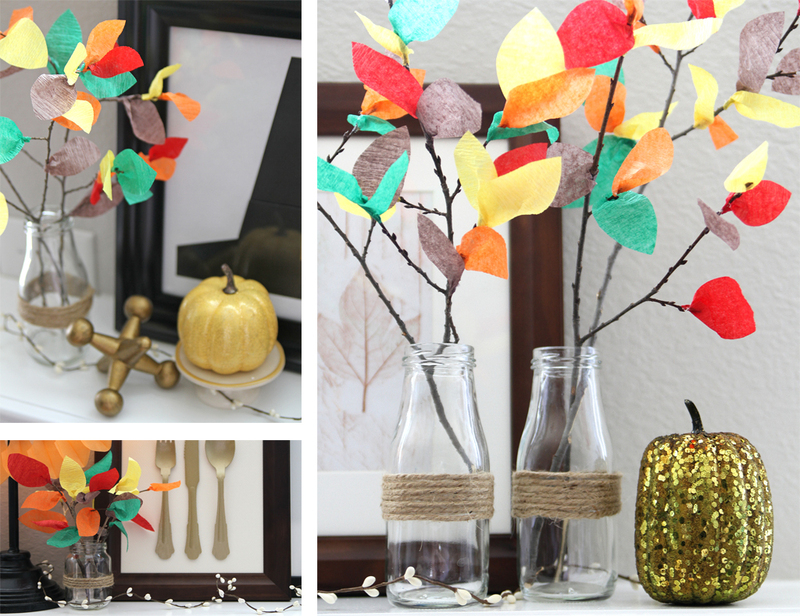 There’s nothing more versatile than crepe paper streamers. For this mantel edition, streamers were cut into leaf shapes and glued to branches (see the tutorial here). Display branches in jute wrapped vintage milk bottles and place where there is a need for more color and height. 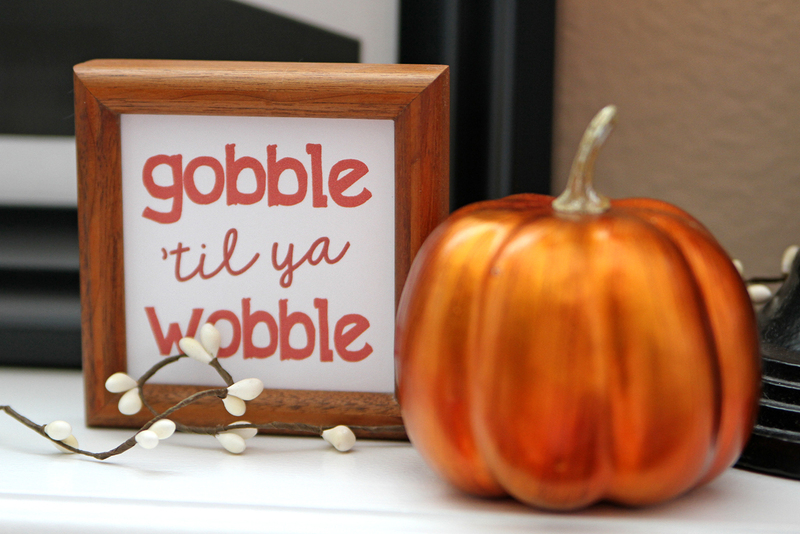 Two words: framed printables. This larger one encompasses all the traditional fall colors. Get it here. This smaller one is a simple “punny” rhyme. 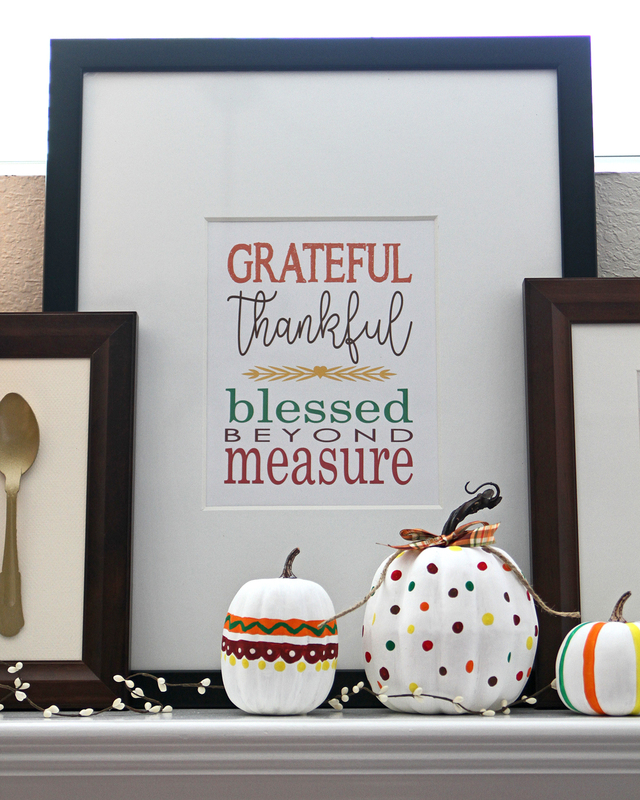 Printing and framing a quote that has special meaning to your household is a perfect way to carry character and uniqueness into your holiday décor. Lastly, a pilgrim party hat becomes a real statement piece when put behind glass and framed. So as you can see, party hats, streamers and centerpieces are not just for the day’s festivities. There’s a plethora of uses for them throughout the entire holiday season. 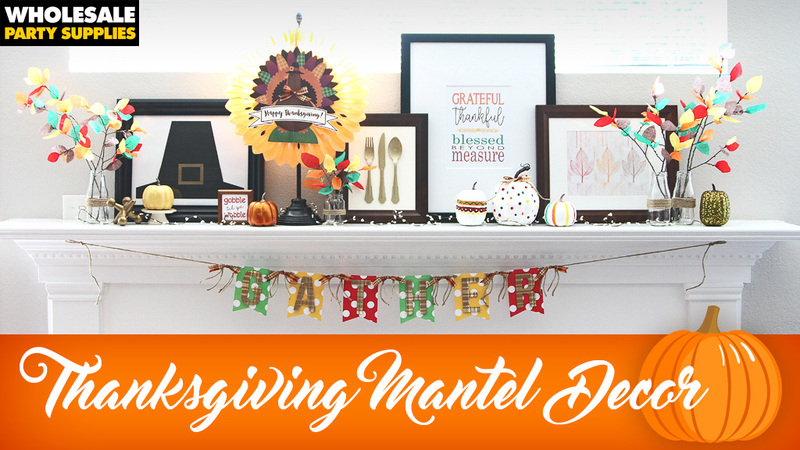 Share your Thanksgiving mantel with us on Facebook, Twitter, and Instagram!